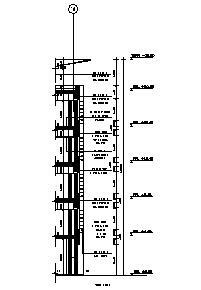 I have an AutoCAD drawing which shows part of building section. See figure above. When I explode it, the full building section shows. How can I do this? Sirajkochi, the block you are trying to explode may have been clipped to show only a certain area. When you explode the block, the rest of the actual block appears. Before exploding your block, draw a pline around the edges. Then, explode the block and trim off the excess entities that you do not want, using the pline as your trimming edge. Erase whatever entities are left outside the pline. This problem is similar to the xclip command when used in an xref. I use "xclip" when I need to hide the part of my xref that I'm not using. It may be turned off or changed with little effort.